The small towns of Allen County, Kansas, are loaded to the brim with big fun. This autumn is an excellent time to plan your visit to Allen County as they are gearing up for lots of special events. The biggest small towns of Allen County include Humboldt and Iola. Humboldt, Kansas, was founded in 1857 by Germans migrating from Hartford, Connecticut. During the Kansas Territorial period, Humboldt began to grow in relative peace with the establishment of a sawmill, a gristmill and church. As the Civil War broke out, Humboldt suffered an attack led by Kansas pro-Confederate border ruffian John Matthews in September 1861. In October another raid of the town occurred. For the rest of the war, Humboldt was fortified and served different purposes for the Union Army and pro-Union local militias, including the establishment of Camp Hunter. Iola was established in 1859 as an alternative to Humboldt to be the county seat of Allen County. Early on, Iola took steps to defend itself from feared attacks from Bushwhackers or American Indians. It also served various purposes for Union Army troops and the militia. Humboldt is going to be chock-full of events and things to do in October as they are hosting the Smithsonian Traveling Exhibit “Hometown Teams.” The exhibit’s ribbon cutting takes place the same day as the town’s Biblesta Parade. For fifty-seven years, Humboldt has hosted a parade with floats depicting bible scenes interspersed with equestrian units and marching bands. 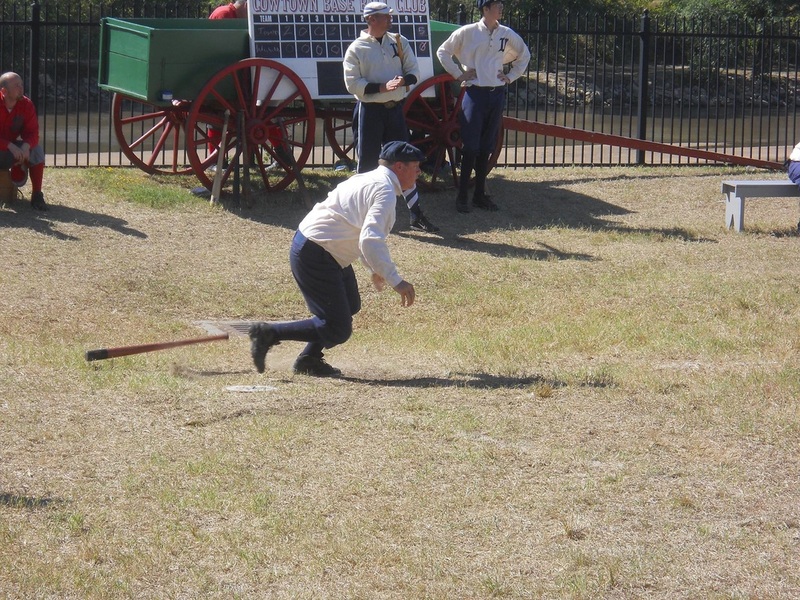 Other October highlights include Dinner with the Big Train on October 10, a talk by Phil Dixon on the Kansas City Monarchs and Humboldt Native George Sweatt on October 17, and a Vintage Baseball Game between the Topeka Westerns and the Lincoln, Nebraska, Olympics on October 24. Check out the full schedule of events here. The Smithsonian “Hometown Teams” exhibit will be displayed at City Hall, with additional special exhibits at the Humboldt High School, the Humboldt Historical Museum and the Orcutt Backyard Living History Museum. Click here for hours and addresses. Historic commercial building on the Humboldt square houses a historic woodworking shop. While you’re in Humboldt for the great baseball and sports history, be sure to plan some extra time for the Humboldt Historical Museum, which includes several buildings dedicated to telling the history of Humboldt, the Orcutt Backyard Living History Museum, which includes artifacts and exhibits from Allen County’s early settlers, and the Humboldt Civil War 12-Site Tour. The self-guided tour includes stops at Camp Hunter and other important Civil War sites. 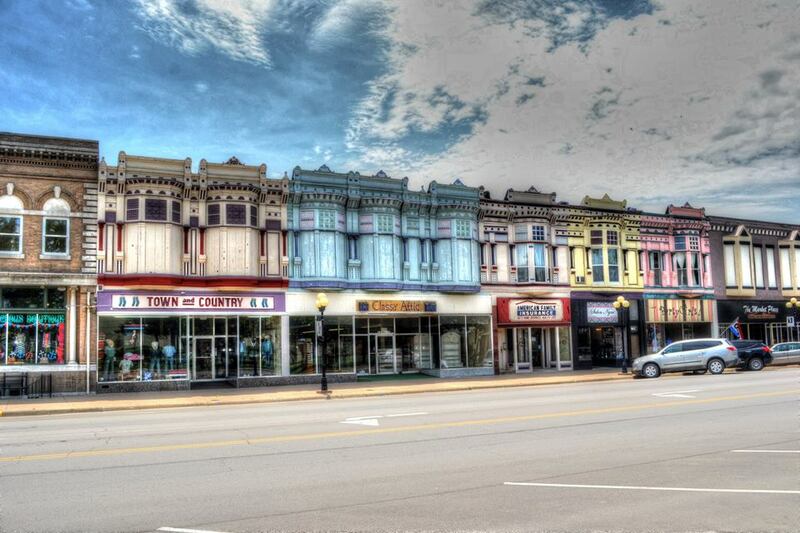 Take some time to wander the city’s historic square and take a peek inside the buildings and shops. From Humboldt, it’s a quick drive north to Iola. If you are looking for an alternate mode of transportation, consider biking the Prairie Spirit Trail. The trip is nine miles between Iola and Humboldt. More adventurous bikers can make the sixty-mile trip (one way) from Ottawa, Kansas. General Funston Boyhood Home. Photo by City of Iola. Like Humboldt, Iola is also having a banner year for history. This is the 150th anniversary of the birth of Iola native Major General Frederick Funston. Funston started his career as a botanical agent for the U.S. Department of Agriculture, joining expeditions to Death Valley and Alaska. He was commissioned to lead the 20th Kansas Regiment during the Spanish-American War, and rose to the rank of Major General based on his service in the war, his response to the 1906 San Francisco earthquake and his actions as commander of Hawaii and Vera Cruz. You can visit Funston’s home and learn about Funston’s life and legacy at 14 South Washington Street in Iola. 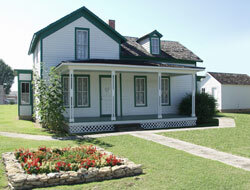 Next door to the Funston Boyhood Home & Visitors’ Center is the Allen County Museum. Exhibits at the Allen County Museum tell the history of the county beginning with its American Indian residents through the 20th century. The Allen County Historical Society also offers tours of the Historic Allen County Jail by appointment. Iola is also home to the Bowlus Fine Arts Center. The Center hosts concerts and other cultural events. 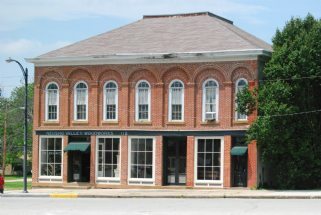 It is also home to the Mary L. Martin Art Gallery and the host of the annual Buster Keaton Celebration, honoring the entertainer who was born in nearby Piqua, Kansas. Iola also boasts the largest downtown square in the nation, with colorful commercial buildings and fun shops and beautiful historic homes. Explore Iola on your own or make arrangements for your group to have a tour on the trolley. Whether it’s by bike or by car, set a course for Allen County, where their small towns offer big fun! This entry was posted on September 23, 2015 by freedomsfrontier in Heritage Traveler.